The Crest Sukhumvit 34 is a condominium project, developed by sc Asset, located at 768 Sukhumvit Rd, Khwaeng Khlong Tan, Khet Khlong Toei, Krung Thep Maha Nakhon 10110. Sc Asset is also the developer behind Centric Ratchayothin, Centric Ratchada - Huai Khwang and Saladaeng One. Construction of The Crest Sukhumvit 34 was completed in 2014. Condominium comprises of a single building, having 28 floors and includes 265 units. 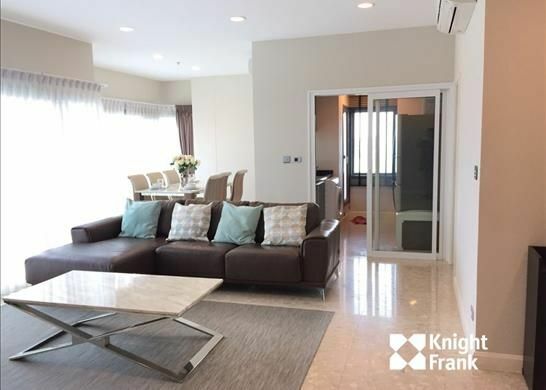 Property descriptions and related information displayed on this page, with the exclusion of Running Costs data, are marketing materials provided by Knight Frank - International, and do not constitute property particulars. Please contact Knight Frank - International for full details and further information. The Running Costs data displayed on this page are provided by PrimeLocation to give an indication of potential running costs based on various data sources. PrimeLocation does not warrant or accept any responsibility for the accuracy or completeness of the property descriptions, related information or Running Costs data provided here.